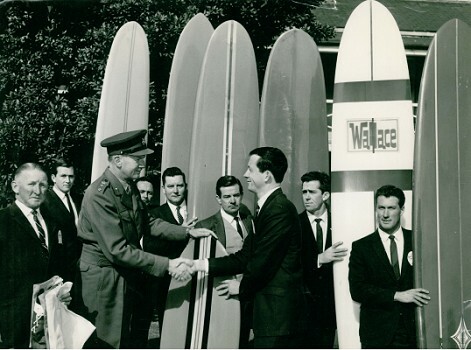 A major manufacturer, the company maintained a high standard and a quality stable of shapers 1955 - 1974. 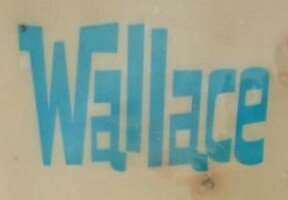 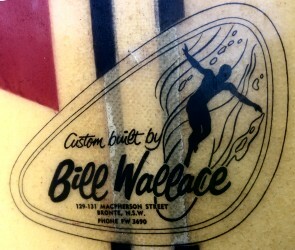 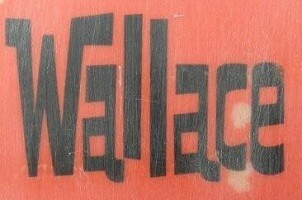 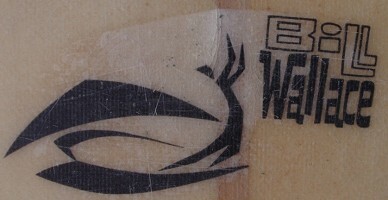 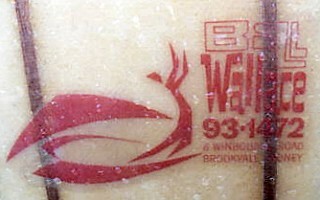 Bill Wallace shaped or manufactured through a massive range of designs and construction techniques. 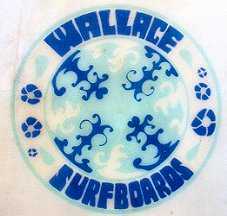 Bondi, Bill Wallace's' first production, mainly through Surf Life Saving Clubs. 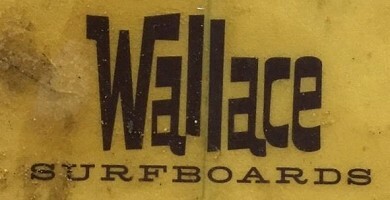 Early foam board with expanded foam/shrunken stringer. 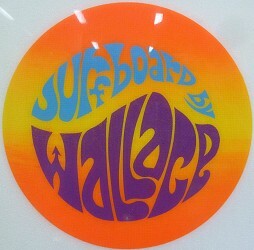 Black circle decal with Gull. 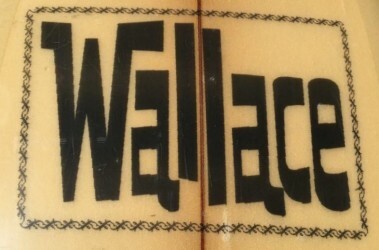 Bob McTavish, leaves for extended shaping sessions Hayden Surfboards, Queensland. 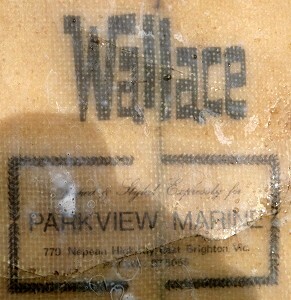 Bobby Mills, tailblock markings noted circa 1964: "1498 - 9'2" and "BOMMA MILLS"
Bill Wallace Arrow, circa 1964. 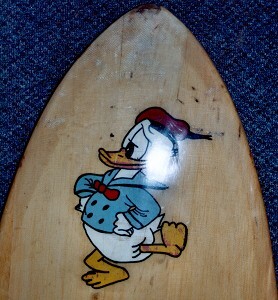 Text courtesy of Dennis McDonagh: McDonagh Surfboards. 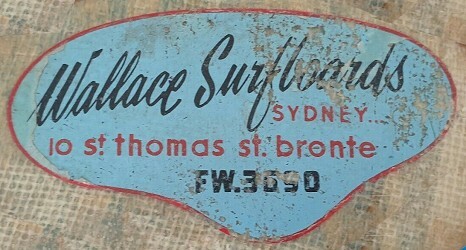 10 St. Thomas Street Bronte, Sydney. 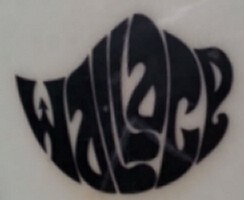 Decal image thanks to Mick Tunstable, August 2009. 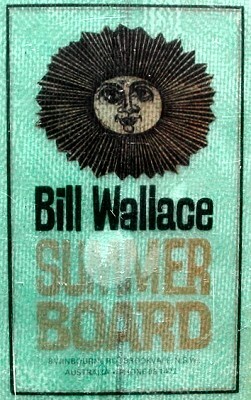 Image, with thanks, by Allan Attwood. 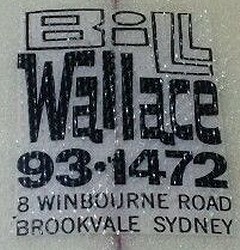 Bill Wallace, Australia, circa 1967. 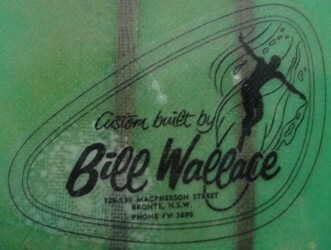 Bill Wallace swallow-tail, circa 1967. 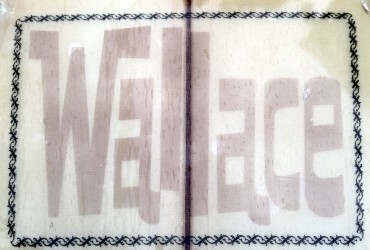 Wallace Floral Circle, circa 1967. 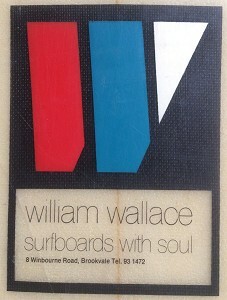 Surfboards by Wallace Circle, 1969. 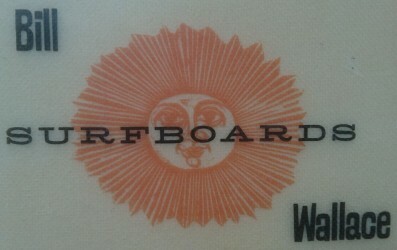 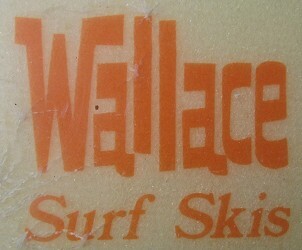 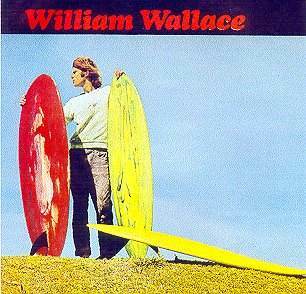 Wallace Surf Skis, circa 1972. 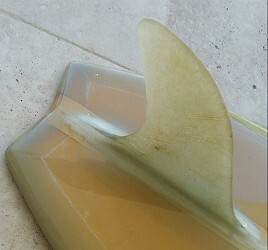 Designed and shaped Especially for Parkview Marine, circa 1972.